Quirky Jessi: Dress up your cookies! Anywho, I thought these were adorable and that's why I've kept them saved for almost a year now. 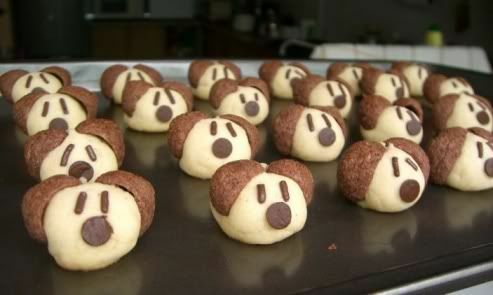 Dress your cookies up as doggies this year. :D I found them over at Taste Goblet and if you're interested in making your own, she shared the recipe here!